Katelyn Dawson was a dancer at Caspers Freestyle Dance School in Brighouse. The driver of a car which careered off a road and killed a 15-year-old schoolgirl and Brighouse dancer will NOT be charged, the CPS yesterday (Tues) confirmed. The teenager was a dancer at Caspers Freestyle Dance School in Brighouse. 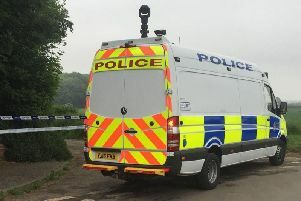 Elizabeth Jenkins, Deputy Chief Crown Prosecutor, CPS Yorkshire and Humberside said: "Firstly, I would like to express my heartfelt condolences to Mr and Mrs Dawson over the tragic death of their daughter Katelyn as well as to the other victims who were seriously injured in the incident. "Following a thorough police investigation, we have carried out a full and detailed review of all the evidence in this case in accordance with the Code for Crown Prosecutors, which has included obtaining relevant medical records and seeking evidence from medical experts. "In deciding whether the accused should be prosecuted we had to decide if the evidence was sufficient to show that his driving fell below that of a careful and competent driver. "We do understand that this outcome is not what those personally affected by this incident have hoped for, during what must continue to be a terrible time for them. "We have explained their right to appeal this decision under our Victims' Right of Review Scheme and we have also offered to meet them in order to explain our decision in person and to answer any further questions they may have."